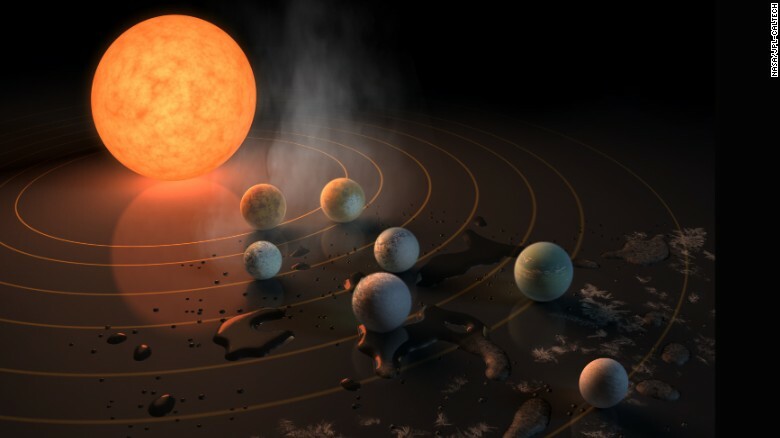 Astronomers have found at least seven Earth-sized planets orbiting the same star 40 light-years away, according to a study published Wednesday in the journal Nature, CNN report. The findings were also announced at a news conference at NASA Headquarters in Washington. This discovery outside of our solar system is rare because the planets have the winning combination of being similar in size to Earth and being all temperate, meaning they could have water on their surfaces and potentially support life. "This is the first time that so many planets of this kind are found around the same star," said Michaël Gillon, lead study author and astronomer at the University of Liège in Belgium. If TRAPPIST-1 sounds familiar, that's because these researchers announced the discovery of three initial planets orbiting the same star in May. The new research increased that number to seven planets total.